Gregg A. Bigda left the Springfield federal courthouse Wednesday afternoon. SPRINGFIELD — A current Springfield officer and a colleague who resigned from the department two years ago pleaded not guilty Wednesday to allegations that they used unreasonable force while arresting two Latino boys who were suspected of stealing an undercover police SUV more than two years ago. 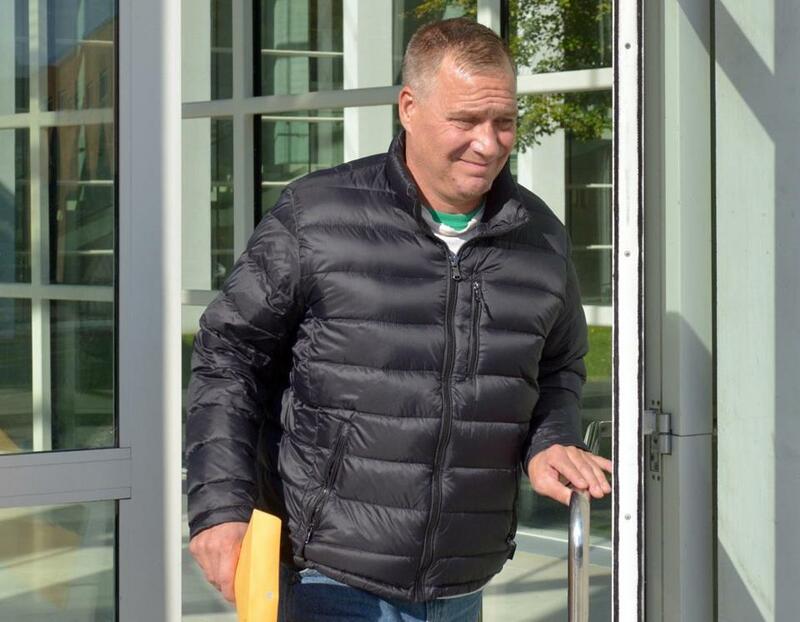 Officer Gregg A. Bigda and Steven M. Vigneault, a former narcotics detective who left Springfield police in 2016, appeared separately in US District Court in Springfield. They face a federal criminal indictment accusing them of violating the civil rights of the teenagers, who were arrested in February 2016 during a confrontation in Palmer. FBI agents arrested Bigda and Vigneault early Wednesday. Federal prosecutors didn’t seek bail, and they were set free following their court appearances. Bigda, 48, a Wilbraham resident, faces three criminal charges for alleged civil rights violations, one for using excessive force and two for abusive interrogation, according to the office of US Attorney Andrew Lelling. Bigda is also accused of obstruction of justice. Vigneault, 48, who lives in East Longmeadow, was indicted on one criminal civil rights charge for allegedly using excessive force. “Badges and guns do not come with the authority to ignore the Constitution or the rights of others, and those who violate it will be held accountable,” Shaw said. The indictments against the officers, both former narcotics detectives, come as the civil rights division at the US Department of Justice investigates whether the Springfield police narcotics unit routinely used excessive force and violated people’s civil rights. Details about the theft of the undercover police SUV, confrontation in Palmer, and interrogation of the teenagers have emerged in civil lawsuits and news reports. In 2016, MassLive, the website for The Republican newspaper in Springfield, published surveillance video of Bigda interrogating the juveniles in Palmer on Feb. 27, 2016. Hours earlier, on Feb. 26, 2016, Bigda allegedly sat at his desk drinking straight rum, according to two civil lawsuits. Former narcotics detective Steven Vigneault appeared in Palmer District Court in 2017. Vigneault, who filed one of the lawsuits against him, claims he ordered a pizza to help Bigda sober up. When he went to get the meal, Vigneault said he left an unmarked police SUV running outside the pizzeria, and four teens jumped inside and drove off. Police tracked the SUV to nearby Palmer and detained three teens. On a residential strip of North Main Street, Bigda allegedly kicked a handcuffed 14-year-old Puerto Rican boy in the face as he lay on the ground, spat on him and said, “Welcome to white town [expletive],” according to a lawsuit filed in August by the teenager’s mother. Another handcuffed teenager, who was 15 years old, was also kicked in the face by Bigda, the civil suit alleges. The 14-year-old was hospitalized, and officers brought two other teens to the Palmer police station. Bigda interrogated the 15-year-old there, where surveillance video recorded him saying he could get away with murder. “I could crush your [expletive] skull and [expletive] get away with it,” Bigda told the teenager. He also told the boy he could plant drugs on him with impunity. “I’ll [expletive] charge you with whatever I want. 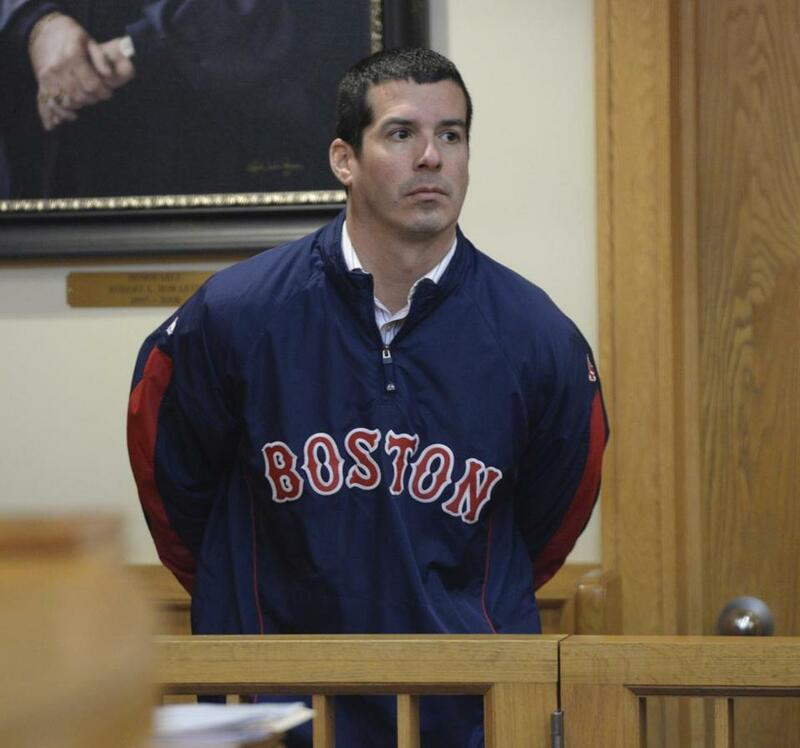 I’ll stick a [expletive] kilo of coke in your pocket and put you away for [expletive] 15 years,” Bigda said. On Wednesday, Springfield Police Commissioner John Barbieri said in a statement that Bigda will be suspended without pay. He said the department will not have further comment. The indictment said Bigda used unreasonable force against a juvenile, spat on him, and said, “Welcome to the white man’s world.” Vigneault is accused of using “unreasonable force” against a second juvenile, the indictment said. Their use of force involved a “dangerous weapon” and resulted in injuries for the teenagers, authorities said. After the incident, Bigda allegedly attempted to obstruct the investigation into the assaults of the juveniles by falsifying his reports to the Springfield police internal investigations unit, the indictment said. He is accused of writing that he did not kick anyone or see any officer kick anyone during the course of the arrests of the juveniles. In a second report, Bigda allegedly denied spitting on anyone or yelling “welcome to the white man’s world” during the arrest of the juveniles, the indictment said. The charges of deprivation of civil rights under color of law resulting in injury or using or threatening to use a dangerous weapon provide for a sentence of no greater than 10 years in prison, three years of supervised release, and a fine of up to $250,000, Lelling’s office said. The charge of deprivation of civil rights under color of law provides for a sentence of no greater than one year in prison, one year of supervised release, and a fine of up to $100,000. The charge of falsifying a police report provides for a sentence of no greater than 20 years in prison, three years of supervised release, and a fine of up to $250,000.